Well, the smartphones that are going to be launched will reportedly be the Asus ZenFone 4 (ZE554KL), Asus ZenFone 4 Max (ZC554KL), Asus ZenFone 4 Pro (Z01GD), Asus ZenFone 4 Selfie (Z01M), and Asus ZenFone 4V (V520KL/A006). Interestingly, there will be two different variants of the Zenfone 4 flagship. The company might be planning to offer the device in two RAM/ storage variants. 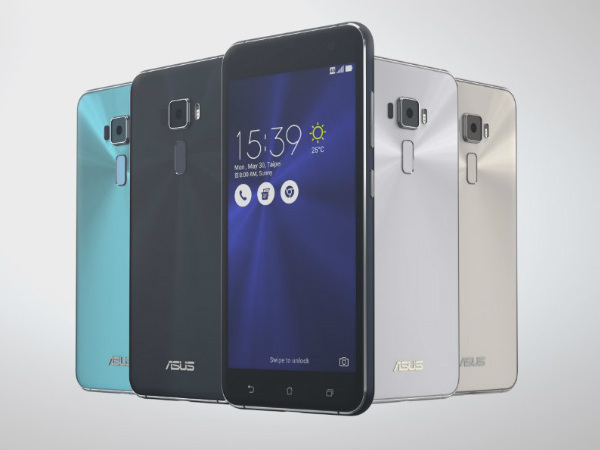 The Asus ZenFone 4 Pro is a new variant in the series and could be a premium device whereas the Asus ZenFone 4V might be a Verizon exclusive. In any case, the five Asus smartphones have been listed on the Google Play Store support sheet which is shared on ZenTalk forum as well. Further, all the smartphones have been approved for Google services, thus many reports are suggesting that these smartphones could possibly be launched in July. Talking about the smartphones themselves, we have few details on them. However, the details we will be discussing are the key highlights of these smartphones. The first one is the Asus ZenFone 4 Max and this smartphone has already been listed on Asus official support page and the device was also spotted on GFXBench. As per the details that were revealed, the smartphone will probably come with a 5.5-inch display with either the Qualcomm Snapdragon 625 or Snapdragon 660 chipset. The smartphone will likely feature a dual rear camera setup which should be capable of shooting 4K videos. The camera sensors include a 13-megapixel + 5 MP camera capable of capturing FHD videos. At the front, the device sports an 8 MP selfie camera. On the software front, the smartphone will run on Android 7.0 Nougat out-of-the-box. Secondly, ZenFone 4 Pro which according to several leaks hint that this smartphone will be a high-end device. While not much is known about this upcoming smartphone it is said to come with model name ‘ASUS_Z01GD’ and that it will run on Android Nougat out-of-the-box. We have already done a report on Asus Zenfone 4 Selfie just a few hours back which you can check here. But this smartphone is said to be a selfie-centric smartphone. Apart from the above three mentioned phones, the list also includes three more Zenfone 4 devices but we do not have much information on the said devices. However, we should be hearing about them more in the coming days.